The formal education equivalent of a high school diploma; plus two years of field experience in wildlife or fisheries management or forestry or land management, or a related area. OTHER JOB RELATED EDUCATION AND/OR EXPERIENCE MAY BE SUBSTITUTED FOR ALL OR PART OF THESE BASIC REQUIREMENTS, EXCEPT FOR CERTIFICATION OR LICENSURE REQUIREMENTS, UPON APPROVAL OF THE HUMAN RESOURCES CHIEF. Knowledge of the procedures and methods used in documenting wildlife investigations. Knowledge of fish propagation, harvesting, cultivation, and maintenance activities. Knowledge of tissue and blood sampling techniques used in collection research. Knowledge of agricultural methods and basic land laws. Knowledge of timber marking, land surveying, and other related forestry techniques. Ability to collect samples of wildlife, perform fish hatchery, prepare reports, maintain files, and present oral and written information. Ability to operate and maintain wildlife equipment. Knowledge of the procedures and methods used in documenting wildlife investigations; Knowledge of the equipment and techniques used to maintain buildings, grounds and equipment; Knowledge of food plot cultivation, and maintenance activities; Knowledge of tissue and blood sampling techniques used in collection research; Knowledge of agricultural methods and basic land laws; Knowledge of timber marking, wildlife stand improvement, land surveying, boundary marking, fire prevention, control burning and other related forestry techniques; Knowledge of bottom land hardwood management. Knowledge of moist soil management techniques; Knowledge of native warm season grass planting/management techniques. Ability to operate wildlife check stations, collect samples of wildlife, prepare reports, maintain files, and present oral and written information; Ability to operate and maintain wildlife/farming equipment. Basic computer skills will be necessary to submit reports and for communicating with regional staff, prefer experience using ARC GIS software. National Wildfire Coordinating Group (NWCG) certified Fire Fighter Type 2 (FFT2) with a knowledge of prescribed fire. The Conservation Program Technician is responsible for forest and fish propagation, fire prevention, cultivation, and harvesting activities and/or maintaining a wildlife management area. This position is governed by state and federal laws and agency policy. Inspects forest lands for damage by insects or disease, assists in implementing plans or recommendations for control measures, and prepares plans for site preparation or improvement of planting, harvesting, marketing, or wildlife use. Conducts or assists in conducting research on collected samples, such as fish, blood, water, soil, and plant species, and examines animals and specimens to detect diseases or other problems. Conducts agricultural and forest management activities on wildlife management areas, including preparing seed beds and plant foods; selects and marks trees for thinning and/or logging utilizing soil erosion control measures and maintains waterways, dams, and ponds. Monitors and inspects public and private wildlife to ensure compliance with state regulations and trains various personnel in activities, such as fire safety, accident prevention, and maintenance and calibration of scientific and technical equipment. Gathers, provides, and presents general and forestry educational information and training to various federal, state, local health officers, community organizations, and the general public. Provides technical support and services for scientists and engineers working in fields, such as agriculture, environmental science, resource management, and biology. Assists in conducting fish and game propagation and maintenance activities, including monitoring of spawning, hatching, incubation, sexing, and feeding. Prepares reports pertaining to wildlife findings, conclusions and recommendations. Cleans, maintains, prepares, and supplies work areas. Works under general supervision performing custodial duties; Monitors contract activities; Works in inclement weather under heavy physical demands. Works outside of normal work hours to complete Division and Regional assignments, Inspects forest lands for damage by insects or disease, assists in implementing plans or recommendations for control measures, and prepares plans for site preparation or improvement of planting, harvesting, marketing, or wildlife use; Conducts or assists in conducting research on collected samples, such as, blood, water, soil, and plant species, and examines animals and specimens to detect diseases or other problems; Conducts agricultural and forest management activities and operation of agriculture equipment on wildlife management areas, including preparing seed beds, planting, disking and bush hogging; Gathers, provides, and presents general wildlife and forestry educational information to various federal, state, local health officers, community organizations, and the general public; Assists in conducting various research projects,CWD, heard health check, quail surveys, wood duck/dove banding; Prepares reports pertaining to wildlife findings, conclusions and recommendations; Cleans, maintains, prepares and supplies work areas; Preforms water level management on Green Tree Reservoirs(GTR) and moist soil units. Operates and performs maintenance on water control structures; Mark, maintain and remove logs form boat trails; Performs other duties as assigned. The individual selected for this position will be responsible for: Conducting maintenance and operation projects on Sheffield Nelson/Dagmar WMA, St. Francis National Forest and Prairie Bayou WMA. The NRPT will assist with capture and relocation of nuisance alligators/bears/feral hogs, and handle general nuisance animal calls as needed in the eastern portion of the Region. The employees duty station will be located at Sheffield Nelson Dagmar WMA will be required to live with 50 miles of this location. This position is required, as per the Prescribed Fire Planning and Implementation Procedures and Policy, to complete a two-mile walk carrying 25 pounds in 30 minutes within the first year of employment. This position is required to obtain a Class A Commercial Driver’s License within 6 months of employment. This position is required to obtain a Non-Commercial Pesticide Applicators license with 1 year of employment. All applicants are subject to a criminal background check. As an equal opportunity employer, the Commission will make any reasonable accommodations necessary to ensure equal employment opportunities. 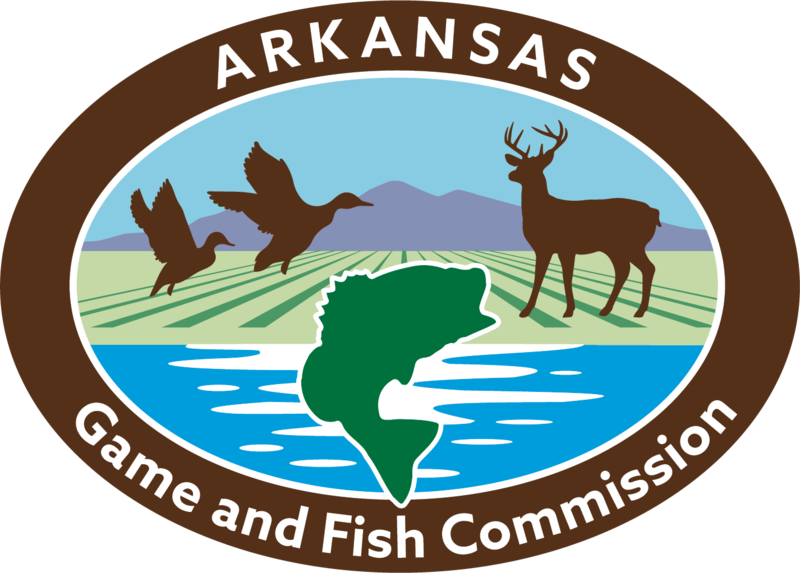 The Arkansas Game and Fish Commission's mission is to conserve and enhance Arkansas's fish and wildlife and their habitats while promoting sustainable use, public understanding and support.